Life offers amazing opportunities and grand adventures, but it can also take a sudden turn and bring unexpected challenges along the way. Such was the story of Lisa*, 25, when she decided to travel to Nepal to join a humanitarian mission to teach indigenous children. Lisa was in Kathmandu on the 25th of April 2015 when a 7.9 magnitude earthquake hit Nepal, the biggest one to hit the country in over 70 years. Lisa suffered both physical and mental trauma. The fact that she was thousands of miles away from home caused incredible distress to her family, who were desperate to hear news from her. They sought help from AXA Assistance, and her name was added by the crisis command center to the list of people covered by AXA within the vicinity of the earthquake. An AXA medical professional conducted checks among the injured and found Lisa. He regularly checked on Lisa, gave her a chance to talk to her parents, and arranged for her to return home to fully recover from her injuries. She had surgery, went through physical rehabilitation and attended peer counseling to help her deal with the mental trauma. She was empowered to move forward and fully recover and eventually, Lisa chose to return to her life in Kathmandu. “You just set a new standard. You just raised the bar for all the singers from now on. That was amazing, thank you,” Jay Park said. 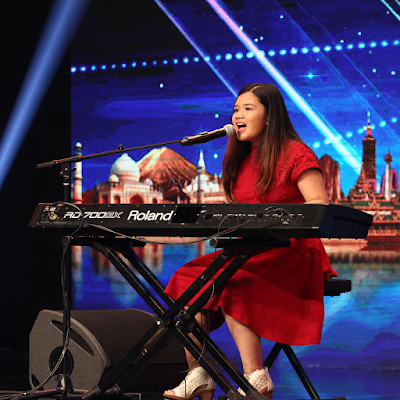 Fitri received three yeses from the judges and she’s now in the running to be in the semi-finals. “You made me laugh! And not only did you make me laugh, you gave away some magic tricks. I don’t know where this act is going, but I think I need you,” Anggun said. 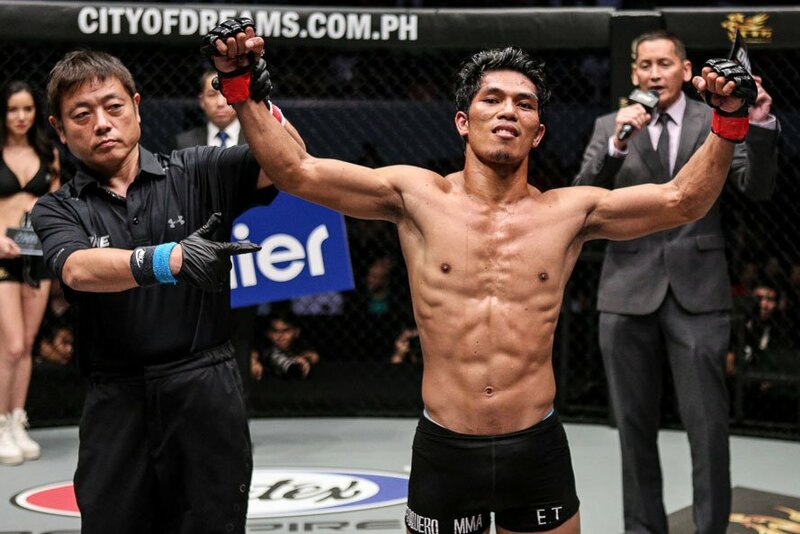 Akira will head directly to the semi-finals where he will be one step closer to winning the grand prize of USD100,000. Asia’s Got Talent is supported by presenting sponsor Traveloka, the leading travel booking app for all flight and hotel needs; and sponsoring partner Great Eastern Life, the market leader in the conventional life insurance business and the largest life insurer in Malaysia by asset size. 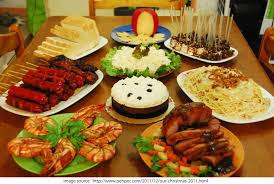 In the Philippines, Asia’s Got Talent is brought to you by Cherifer, Tangkad Sagad, KFC Delivery and Vivo Smart Phone. 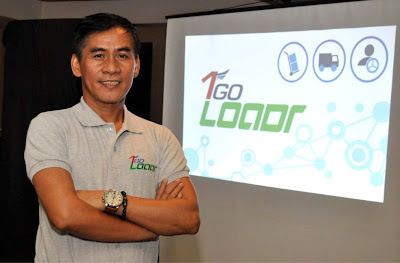 In1Go Technologies, a 100% Filipino-owned IT Services and BPO Company offering a suite of value enterprise solutions in project and sales force management, logistics, distribution and supply chain systems, introduces 1Go Loadr, a web and mobile enabled collaborative platform – an online marketplace – where both logistic outsourcees and services providers – haulers and shippers – converge to address the numerous delivery requirements of customers. Through a revolutionary mobile app that’s downloadable from the Google Play Store, or on the web at www.1go-load.me, haulers of varying scales – whether operating just one truck or an entire fleet – can gain access to a wide variety of goods and items available for shipment, resulting in increased productivity and convenience for both haulers and shippers. Small-scale operators, can benefit from expanded business. Larger fleet operators will enjoy reduced truck downtimes and better operational efficiency as well as the ability to manage and deploy their fleets with ease. Shippers will find it is so much easier to find a reliable hauler and the right vehicle that fit their exact shipping requirements, as the service has over 2000 enrolled trucks to take a load on-demand! Peace of mind is assured as the exact truck location can be tracked in real time including the updated estimated time of arrival through GPS. A photo of the driver and the truck is provided for increased security, together with full transaction details. By downloading the 1Go Loadr app on a smart phone and enrolling, a secured log-in enables shippers to post their requirements and to find from an extensive directory of enrolled haulers, with complete vehicle specs, the ones capable of matching their needs. Eligible haulers will then be notified. Posted shipping requirements will be assigned on a first-come, first-serve basis. Once a hauler accepts, the shipper can then monitor the whole delivery process from pick-up to final unloading. 1Go Loadr harnesses the power of technology to revolutionize logistics, resulting for cheaper, faster, and highly efficient delivery for utmost customer satisfaction and better business backed by 1Go’s solid experience, impressive roster of world-renowned clients, and robust end-to-end technology solutions. To experience the future of logistics collaboration, download the 1Go Loader app at the Google Play Store or visit www.1go-load.me. Amidst reports of price adjustments of some brands of hams and cheese products, the Department of Trade and Industry (DTI) reported the assurance of majority of producers that supply and prices of Noche Buena products such as pasta, sauce, bread, and hams remains stable. DTI made the announcement after convening with manufacturers to check the price and supply situation of Noche Buena products. DTI annually meets with manufacturers of Noche Buena goods in preparation for the upcoming Yuletide season when demands are at its peak. 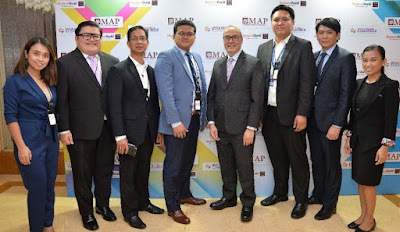 “Several manufacturers assured adequate supply and stability in prices for the coming season, mainly due to the very tight competition among various brands fighting for market shares,” said DTI Secretary Ramon Lopez. The trade chief shared that market competition has enabled businesses to do creative product promotions such as bundling and discounts for the whole package. For example, sauces were bundled with pastas and sold at more affordable prices. “This is competition at play. Even in the ham category, products are so competitive that discounts are being given and several variants that serve different market segments are being offered with affordable pricing,” added Sec. Lopez. Several meetings with Noche Buena product players also confirmed that there will be no price increase for pasta, sauces, cheese, ham, and canned tuna until December 2017. On the other hand, a premium brand of bread increased its price by only one peso per loaf while other brands of bread have kept their prices stable as of October this year. Trade Secretary Lopez encouraged consumers to use “e-Presyo”, an online based price monitoring platform, to be guided while buying their Noche Buena products for the Christmas Season. Sixteen Jr. NBA All-Stars of Jr. NBA Philippines 2017 presented by Alaska, eight boys and eight girls, flew to Shanghai, China from Oct. 6-9 to enjoy a fun, enriching NBA basketball experience. The young ballers, ages 12-14 watched the live NBA China Game between 2017 NBA Champions Golden State Warriors and the Minnesota Timberwolves at the Mercedes Benz Arena. The Jr. NBA All-Stars cherished the opportunity to witness Stephen Curry, Klay Thompson, and Kevin Durant combine for 90 points to lead the Warriors in a 142-110 win against the Timberwolves. Jr. NBA All-Stars also had the chance to meet NBA Legend and defense specialist Jerome “Junkyard Dog” Williams. “Making it to the NBA starts with training and conditioning. If you love to do those things, then you will be a great basketball player. It’s the stuff that you do prior to the game that makes you great,” Williams shared the All-Stars in a brief training session with them. Displaying their hardcourt prowess on the trip, the young Filipino athletes bested their fellow Jr. NBA All-Stars from Indonesia, Malaysia, Singapore, Thailand, and Vietnam to win the Jr. NBA 3-on-3 tournament. The all-girls team representing Jr. NBA Philippines went head-to-head against various opponents before bowing out to Thailand in the semifinals. In addition to friendly peer competitions, the Jr. NBA 2017 All-Stars experienced intense basketball training from Jr. NBA Coaches Chris Sumner and Natalia Andre, implementing rigorous skills exercises in shooting, passing, footwork, post-up, and under-the-basket drills. Jr. NBA All-Stars also tried the local cuisine and toured famous landmarks in Shanghai. The Jr. NBA is the league’s global youth basketball participation program that promotes basketball participation and an active lifestyle among children. Participants are trained in the fundamentals of basketball and learn about the importance of proper nutrition, as well as the Jr. NBA’s core values of sportsmanship, teamwork, a positive attitude and respect (S.T.A.R). Fans can follow Jr. NBA at the official website www.jrnba.asia and Facebook at www.facebook.com/JrNBAAsia to learn more about the program as well as how to join and become a Jr. NBA All-Star in 2018. To learn more about Alaska Milk Corporation, visit www.alaskamilk.com and www.playph.com. 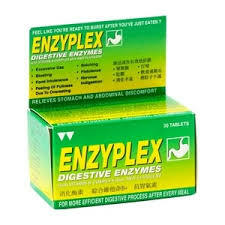 Enzyplex is available in Luzon branches of Watsons, South Star Drug and St. Joseph Drug. 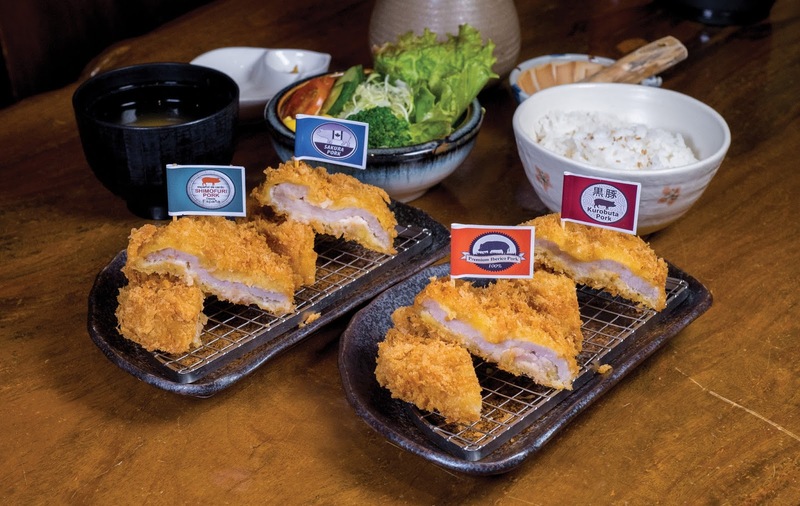 Filipinos have a big appetite for Japanese food—including tonkatsu, a breaded and deep-fried pork cutlet. Taking this delectable dish to new heights is Katsu Sora, home of premium Tonkatsu and Japanese dishes, with its panache that promises authentic Japanese dining. Dine at Katsu Sora to satisfy your cravings for authentic and unique Japanese cuisine. 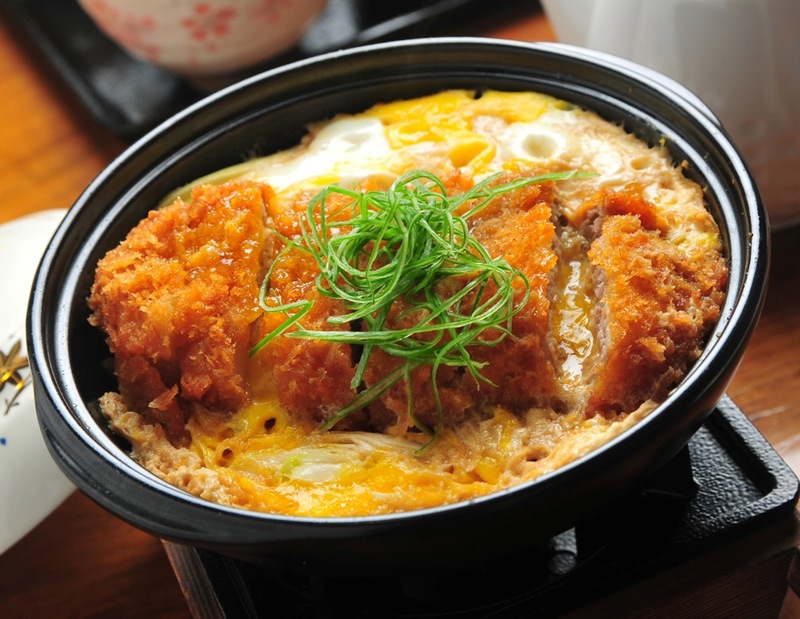 Visit any of the Katsu Sora branches at SM City BF in Paranaque City, TriNoma Mall in Quezon City, Glorietta 4 in Makati, Promenade Greenhills in San Juan City, Eastwood Mall in Libis, Quezon City, Ayala Malls Serin, The District in Tagaytay City, Solenad in Nuvali, Sta. Rosa, Laguna, SM Clark in Pampanga or SM Pampanga. For more information, visit http://katsusora.com/. To provide a life of success, convenience, and wellness—this is the driving force behind Pioneer Pointe, a 28-story condominium project of Filinvest Livable Condos. Now ready for occupancy, Pioneer Pointe puts a premium on quality life with its strategic location at the center of Mandaluyong City. At Pioneer Pointe, the best of city living is within your reach. It is close to burgeoning central business districts that allows a vibrant and functional lifestyle. 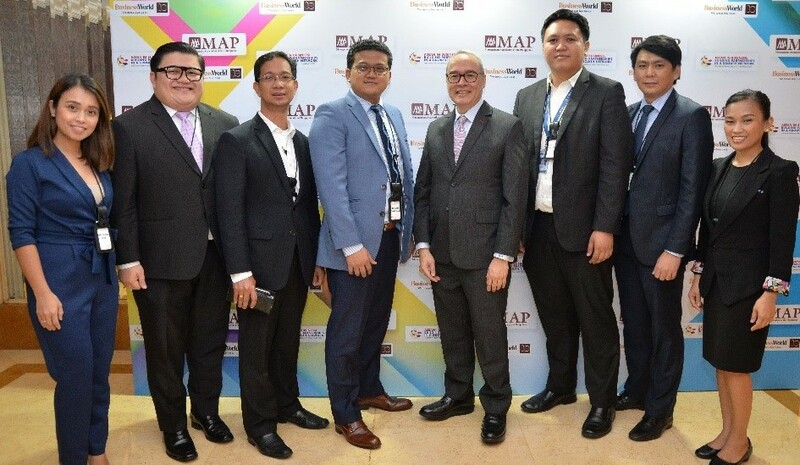 Major thoroughfares such as EDSA and C5 are in close proximity, including public transportations like the EDSA MRT Line and major bus stops, thus making it easier to go to other neighboring cities such as Makati and Ortigas. Business and job opportunities abound in the area as Pioneer Pointe is surrounded by top local and international corporations. For growing families, the location offers a range of top notch educational institutions such as Saint Pedro Poveda College and University of Asia and the Pacific. Just a stone’s throw away are prime establishments like SM Megamall, Shangri-La Plaza, and Capitol Commons that host grocery stores, retail shops, restaurants, and theaters. For rest and relaxation in the city, choose from various nearby five-star hotels, signature spas, and night hubs. Pioneer Pointe offers a safe living space that you can look forward to coming home to at the end of the day. Outstanding features that set Pioneer Pointe apart are the complete amenities at your disposal, including a spacious function room, swimming pool, a pocket garden with children’s play area, podium parking, and full CCTV security coverage and fire safety systems. With the superior build quality that Filinvest is known for, you get an exceptional humble abode and total peace of mind. Pioneer Pointe is all about giving you the best condo living experience. If you’re looking for a good property investment or a place to call home, two-bedroom bi level units are still available at a limited time move-in offer of 2.5% down payment with monthly amortization fee as low as Php 27,000. This limited offer is until October 31, 2017 only. Visit Pioneer Pointe’s booth from October 13 to 15, 2017 at the Lamudi Housing Fair in SM Megamall for more exclusive offers. To know more about Pioneer Pointe, visit the model unit at 128 Pioneer Pointe Street, Mandaluyong City or call 850 0888. You may also visit its Facebook page www.facebook.com/PioneerPointeOfficial. Just two months after its widely-successful, grand ZenFone 4 launch in SMX Convention Center last 19th of August, ASUS Philippines pulls off yet another surprise that will surely shake up the tech industry anew. With its goal to reclaim the title and throne as the premiere selfie and wefie smartphone, ASUS Philippines further beefs up its already fortified ZenFone 4 Selfie line-up with the introduction of a third model in the celebrated series: the ZenFone 4 Selfie Lite! The first and original ZenFone Selfie graced the Philippine market back in 2015 with a front camera that was way ahead of its time and produced stylish grade-A selfies that people thoroughly enjoyed, loved, and treasured. Two years later, the tech giant returns with not only two, but three Selfie smartphones that the Philippine market would love. While the ZenFone 4 Selfie Pro and the ZenFone 4 Selfie each have their own advanced ASUS-grade front cameras that already capture the finest selfies and wefies, it is still quite exciting to see what ASUS’ ZenFone 4 Selfie Lite has to dish out, to further elevate the selfie game and ultimately regain the selfie and wefie throne. Only for the price of PHP 7,995.00, the newest ZenFone 4 Selfie Lite is a 5.5-inch HD display beauty that sports a 13MP front camera with a soft LED flash, great for taking a selfie or even a wefie while still looking fresh wherever and whenever. Its rear camera packs a mean 13MP Phase Detection Auto Focus with an LED real-tone flash feature, which will ensure that the subject will look blur-free and incredible no matter what! Another unique feature in this bang-for-buck smartphone is the triple slot tray. This allows anyone to share not only one, but Nano sim cards as well as a Micro SD card that allows you to store up to 2TB in one tray. It’s a stylish but practical add-on to this newest variant in the Selfie series. Imagine all the photos and videos one can store! Of course, since all of the ZenFone 4 Selfie series is royally crowned as the SelfieMaster™, the ZenFone 4 Selfie Lite must also come with the much-favored SelfieMaster™! Beautification on photos, videos, and livestream has never been easier with this first ever, all-in-one beautification technology. Added bonuses to this special app are the collage and slideshow makers, which make it a doozy to share photos anytime and anywhere!